Welcome to St John's. We provide students with a world class education in a diverse, friendly and lively environment where they can exceed their own expectations. We are also committed to supporting research and scholarship of international importance and home to a thriving academic community. 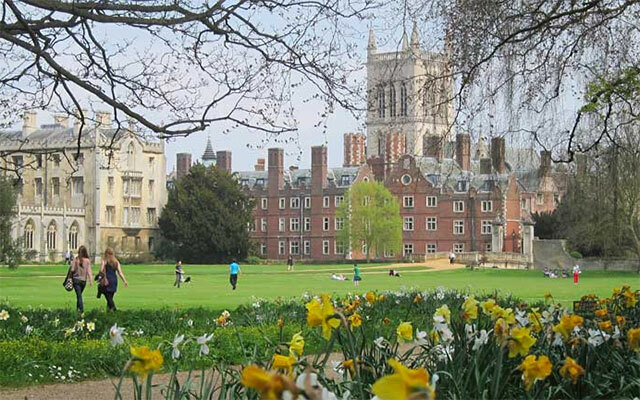 If you want to know more about what St John's is like as a place to live and study, the best people to ask are the students who come here. 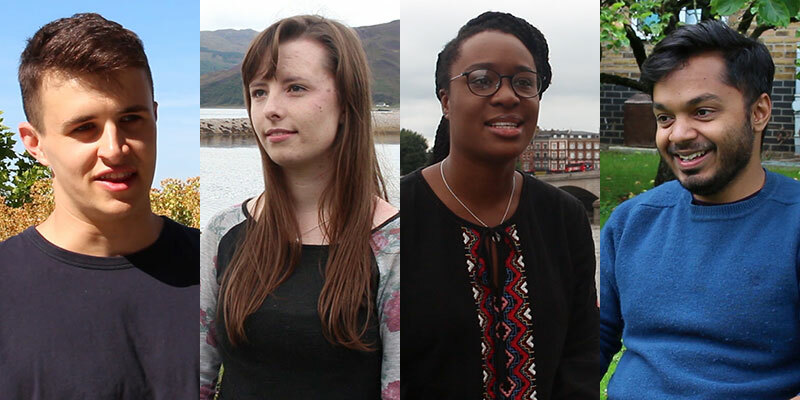 You can meet some of our current and recent undergraduates and postgraduates, and hear about their experiences at the University of Cambridge, in this series of short films. You can also meet many of our students at our regular open days and access events. Take a look at the Open Days and Schools page to find out more, or message our friendly College Admissions team to book your visit. Find out about the wide range of subjects that you can study at St John's, as well as the entry requirements and further details. 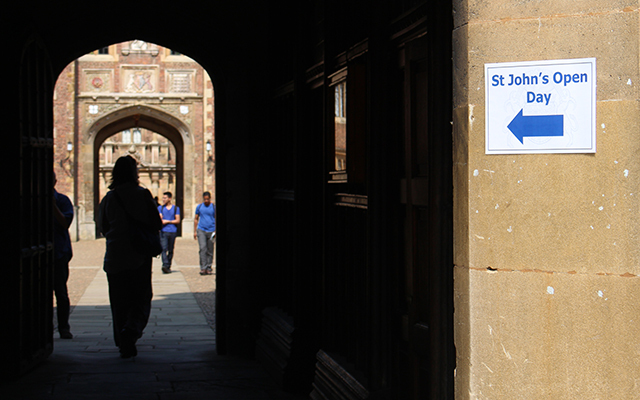 Whatever your circumstances, if you have what it takes to make the most of life at St John's, we want to hear from you. 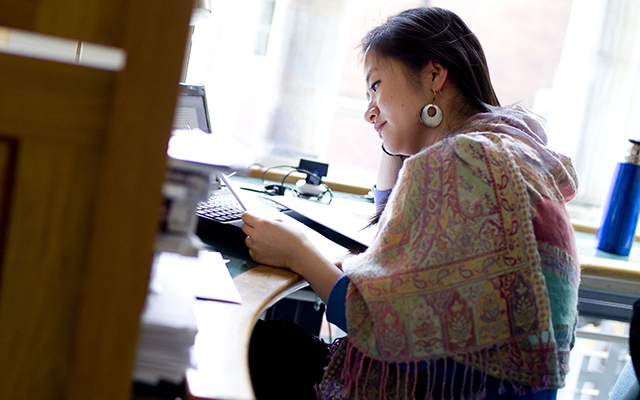 You can read about our College Studentships for students from lower-income backgrounds, and the many other University and College financial support schemes, here. We are committed to admitting students who are capable of making the most of studying here, wherever they are from. Find out more about our open days, taster events, school visits and how to apply, here. 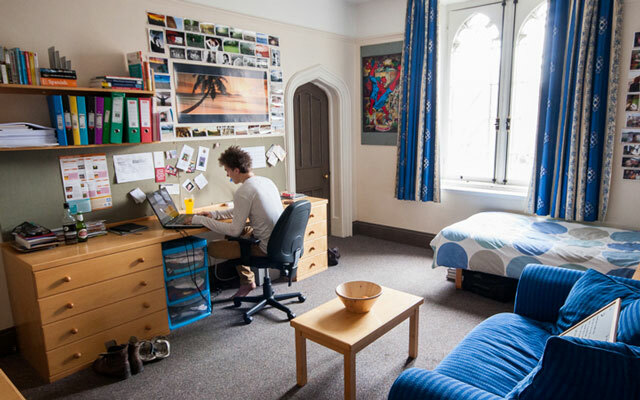 St John's provides guaranteed accommodation throughout your course, with excellent rooms, food and facilities located in a beautiful riverside setting.